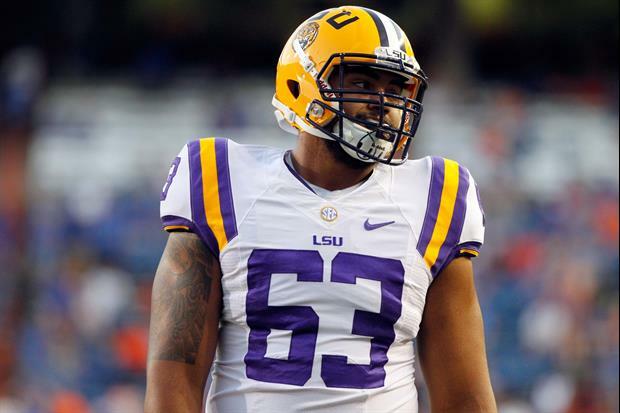 LSU head coach Ed Orgeron said that starting offensive tackle K.J. Malone will most likely not practice this week will be "questionable for a questionable amount of time." Malone suffered a knee injury vs. Florida on Oct. 7 but was able to finish the game. He did not play last Saturday vs. Auburn and was spotted inside Tiger Stadium on crutches and with a brace on his left knee. True freshman Saahdiq Charles started in place of Malone. Q. Do you think K.J. may practice this week? Malone? ED ORGERON: I don't think so. LSU faces Ole Miss in Oxford this Saturday followed by a bye week before facing Alabama in Tuscaloosa Nov. 4. It's unclear at the moment as to whether or not Malone will be available vs. The Crimson Tide. I wish the best for him but Charles has been better at LT.
Maybe the OLine is better without him? No offense to KJM. Still respect him for coming back but this past weeks line was looking better. “Orgeron doesn't think KJ Malone wont practice this week, "he's “questionable for a questionable amount of time.” #LSU” Wouldn’t that mean O expects him to practice? Q. Do you think K.J. may practice this week? Malone? ED ORGERON: I don't think so. Understand?